FILMWORKER was an unexpectedly emotionally affecting documentary to watch - and the thoughts and debates it provoked will be with me for some time. A must watch for all fans of Stanley Kubrick, given its insights into his work from one of his closest collaborators, the film will also have interest for all of those fascinated by obsession, self-sacrifice and the dangers of a boundary-less existence. 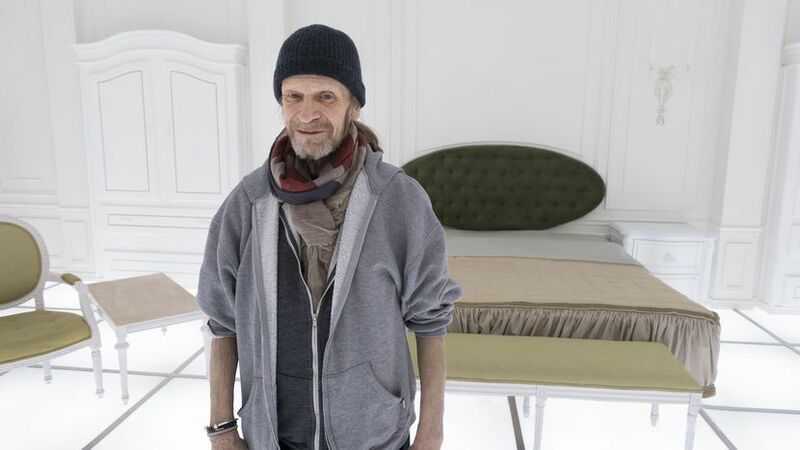 The documentary tells the story of Leon Vitali - a British actor with somewhat Mick Jagger looks - working on TV and film in the swinging sixties. He watches and admires 2001 and A CLOCKWORK ORANGE from afar and manages to land a lead role in what I consider to be Stanley Kubrick's greatest film - BARRY LYNDON. Vitali and the film's star Ryan O'Neal look back on that shoot and describe how many actors were sacked because they wouldn't put up with Kubrick's notorious demands and near-tyranny on set. But Vitali - admiring Kubrick as a cinematic genius - did everything that was asked and was rewarded with a larger role. This was to set the pattern of a lifetime. On the back of the success of BARRY LYNDON, Vitali was offered all sorts of impressive film roles and a season at the RSC, but turned it down to take on parts that would allow him to learn more about cinema and practice the art of editing. And pretty soon he had given up acting entirely to become, effectively, Kubrick's man-of-all-trades. Matthew Modine, looking back on the filming of FULL METAL JACKET, describes him as a kind of Igor. Vitali edits - he takes light levels - he makes prints - he casts films - he coaxes great performances out of child actors - and in EYES WIDE SHUT he even acts again. All of this in services of his maestro and at great cost to his personal health. This is a truly thought provoking documentary and watching it was bittersweet. On the one hand, I was reminded how much I admired and adored Kubrick's work. On the other, I saw that it came at great personal cost. And I know that this isn't really news - neither for Kubrick nor for many other directors - but it's different when you see the person who paid the price in front of you and he's an absolutely charming, kind person. And I also realise that in Vitali's eyes he did it willingly, in service of a greater art, but that almost made me angrier. Because Kubrick was clearly exploiting his willingness to work without sleeping, and clearly for limited financial reward, and perhaps was also aware that this was mimicking a pattern from Vitali's childhood. The more I heard him willingly take on this masochistic role, the more angry I became on his behalf. And at the end, when Kubrick dies, and we see Vitali fighting to honour Kubrick's legacy, the film almost became unbearable to watch: seeing this man with a unique perspective and profound love of cinema unappreciated. Hopefully this documentary will help cement his place in cinema history. He deserves no less. FILMWORKER has a running time of 94 minutes and played Cannes, New York and London 2017.